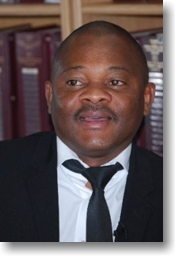 Amos Khumalo Inc. is a dynamic boutique law firm that is focused on the provision of practical and cost effective legal services in the fields of commercial law, intellectual property and information technology law to its clients. We pride ourselves in being the first truly Black law firm in South Africa that practices exclusively in the fields of commercial law, intellectual property and information technology law. We bring a collective experience base of more than 30 years in our chosen fields of expertise – including experience gained from top law firms servicing a broad range of clients, from small medium enterprises, statutory entities, government departments and entities listed on the JSE stock exchange and some Fortune 500 companies. Our practice philosophy is to seek to add value to our clients’ business operations by leveraging our knowledge and expertise in commercial law and intellectual property in order to enhance our clients’ business operations. In order to accomplish this we rely not only on our skills in traditional drafting and litigation skills but also seek to understand what drives our clients’ business. We are accordingly committed to providing high-quality and cost-effective legal services to our clients in the areas of commercial law, intellectual property law and information technology law. Our firm acts for a broad range of clients, from multi-national companies, statutory bodies, private companies to Black Empowerment entities. A representative sample of our clients includes the following: Telkom SA Ltd, South African Airways (Pty) Ltd, South African Express Airways, Mango Airlnes, Gijima and the National Youth Development Agency.